Members of the SBC Management Committee and I continue to lobby on your behalf for an improved design of the new Nowra Bridge and in particular, the northern and southern intersections. We met with Member for South Coast, The Hon. Shelley Hancock last week to present an alternative option to the design adopted by the RMS, which includes grade separation – in order to achieve a 30 year solution that accommodates growth and development rather than a 5 – 10 year solution. Mrs Hancock is arranging a round table discussion with SBC delegates, SCC, the RMS and local MP’s to discuss this solution, as well as the Moss Street intersection, which requires widening in order to accommodate buses travelling to Nowra High. We will keep you informed as to the outcome of these discussions and in the meantime if you have any questions or concerns please email: President@shoalhavenbusiness.com.au. 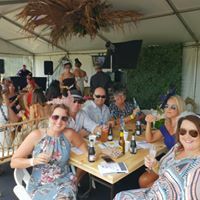 Thank you to those of you who attended our Melbourne Cup Day Tropical Hamptons style marquee on November 1 at The Shoalhaven City Turf Club. It was a fantastic day and Hayley did a sensational job putting it together. We still have a number of events coming up before the end of the year starting with Business After Hours this week (November 14 at 5:30pm) hosted by South Nowra Auto Group at their brand new facility on the highway. Having already had a tour, I can tell you it is very impressive and definitely worth a visit! We also have the Golf Day coming up on November 23 and while we are fully booked as far as teams, there is still an opportunity to sponsor a hole – if you are interested in doing so please email: admin@shoalhavenbusiness.com.au. This month’s newsletter is packed with useful information for your business, we aim to keep you up to date with the most relevant local news available without flooding your inboxes so keep reading! On Friday 23rd November 7am to 2pm. The 2019 Nowra Show will be held on February 8 & 9 2019 and an opportunity now exists for local businesses to exhibit for no cost. Shoalhaven Defence Industry Group Chair, Laurie Koster, is organising a space for Shoalhaven Businesses from a variety of industries to each set up a stall and showcase their work. High school students and their parents in particular will be invited to visit the exhibition in order to learn more about local job opportunities and pathways. If recruitment is an issue for your business, or you would simply like to support this initiative, please register your interest to: President@shoalhavenbusiness.com.au by Wednesday November 21, 2018 to secure your place. The Navy’s Freedom of Entry event will be held in Nowra on the afternoon of Friday, 23 November 2018. Local businesses and community members are invited to attend. The parade will start at the Showground at 6:20pm with a Freedom of Entry Challenge at Rauch Park, 60 Junction Street Nowra at 6:30pm, before a formation of naval helicopters flyover at 6:40pm. The street party celebrations in the CBD will get underway at 7pm. SBC Women in Business. A joint initiative with Shoalhaven City Council’s Economic Development Department, was focused on financial success. This event at Bottlerocket was hosted by The Commonwealth Bank of Australia. “When Women Thrive”, took participants on a financial success journey. 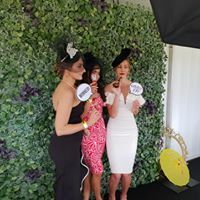 2018 SBC Melbourne Cup Marquee.A lively day of canapes, horses and fashion in the marquee was enjoyed by all at the Shoalhaven CIty Turf Club. The Shaolin Foundation recently lodged a modification request with the NSW Department of Planning and Environment to modify the staging of their project. Their team has prepared a project fact sheet for any of our members who are interested. The Shoalhaven GMS Discussion Paper, together with the Draft Shoalhaven Character Assessment Report, will be publicly exhibited from Wednesday 7 November 2018 until Friday 7 December 2018 (inclusive).